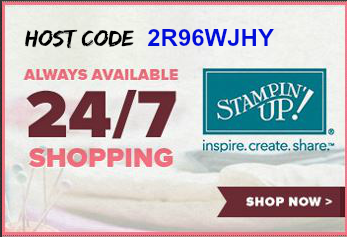 stampfunatics.com – Page 31 – We are FUNatics about Stampin 'Up! 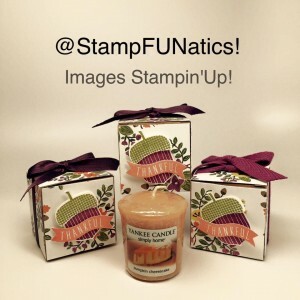 These Pumpkin Cheesecake candles fit perfectly in Stampin’ Up’s 2″ boxes. They make cute gifts for all your Thanksgiving guests. Join us for November Class. Class includes 2 of each card and one project. Class includes 1 of each card design. 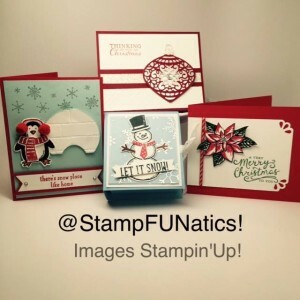 RSVP by Nov. 1st to stampfunatics@gmail.com to reserve your spot. Classes do fill up. These exploding boxes are so easy to make and house a Yankee votive. Thanks to Sam Donaldson for the idea. Don’t forget your furry friends this Holiday. 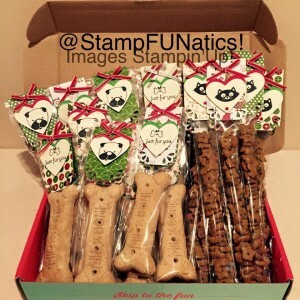 Make yummy treats with your Stampin’ Up! Stamps. my team and will do everything I can to support you in your passion! Click here if you’re ready to get started now by joining my team. Stamp FUNatics! What does it mean to be a Demonstrator! 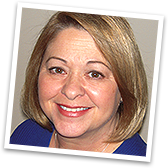 Click here if you're ready to get started now by subscribing to Paper Pumpkin. 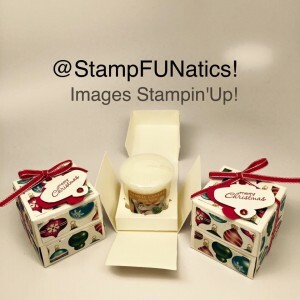 Stamp FUNatics!